Sorry, Eleaf iStick 20W Full Kit has been discontinued. 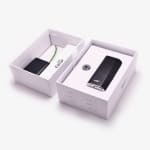 The Eleaf iStick 20W Full Kit includes the best-selling iStick 2200mah 20W battery, its USB cable and wall adapter, as well as the eGo thread adapter to fit any tank on it! 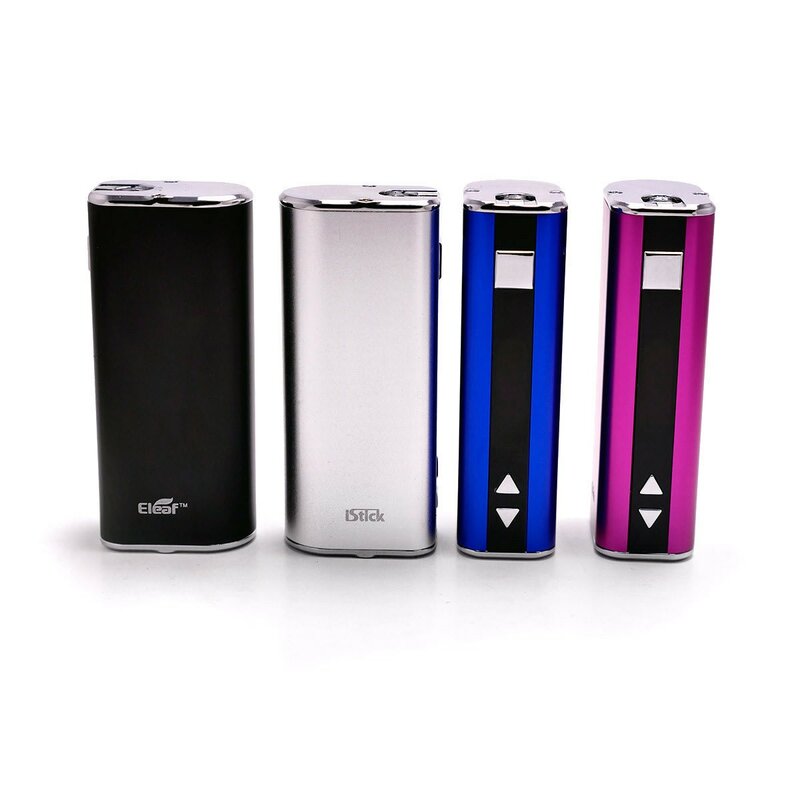 iSmoka Eleaf has stopped the manufacture of the 20W iStick, but you can find the Eleaf 30W iStick here. 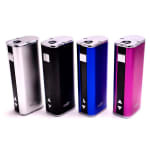 The Eleaf iStick 20W is another of our new designer kit series. These kits offer you some of the best possible vaping experience on the market today. The Eleaf iStick 20W is one of the newest and highest quality e-cigarette device on the market today. 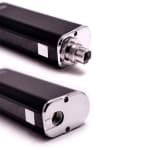 It is the most compact variable voltage and variable wattage mod to over such a high capacity of 2200 mah! Barely bigger than a lighter, the Eleaf iStick will fit in the palm of your hand and be able to deliver, on average, the equivalent of 8-10 packs of e-cigarettes! This Eleaf iStick 20W comes with, in addition to its high capacity battery of 2200 mAh, an OLED Screen showing voltage, wattage, resistance level of your atomizer, and remaining battery life, it has short circuit/atomizer protection,supports charging with a 1A wall adapter, and as an operating wattage ranging from 5W to 20W, enough to satisfy the more exigent of vapers. 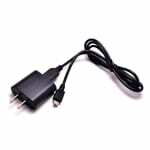 The operating voltage ranges from 3V to 5V. The Eleaf iStick comes in four different colours : Black, Silver, Pink, and Blue, and includes an USB cable for pass-through charging, a wall adapter, as well as an adapter EGO ring to fit any tank on the market! *Tank/Clearomizer not included in this product. 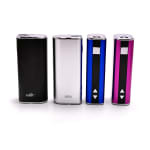 Provides long vaping sessions, with it capacity of 2200mAh with an ultra-compact form factor! I read a ton of reviews on this device before I bought it, so I already knew it would be great for the price. The staff at 180 Smoke made sure I knew everything about it before I left the store, and it's been working like a dream for me for over a month. The best part is, I have completely quit smoking after only a month! I would recommend this device, and this store, to anyone hoping for something similar. I bought it originally with the Aspire Nautilus clearomizer system and it works really realyl well.